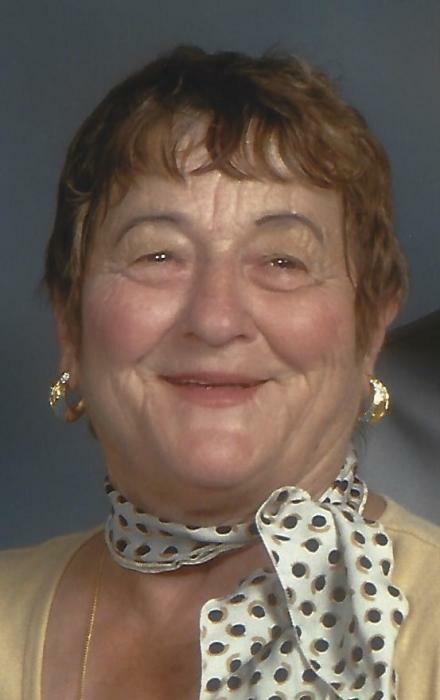 Anna E. Seibert died Monday, April 15, 2019 at the age of 83. She was born February 16, 1936 in Neiderviebach, Germany the daughter of Christian and Maria (Sachsenhauser) Krenn. Anna came to the United States in 1962 and became a citizen in 1967. She was a member of St. John’s Lutheran Church loved her role as a homemaker and mother. Anna married David Seibert in 1974 and he preceded her in death in June of 2018. She was also predeceased by three brothers, Ferdinand, and twins, Christian and Joseph who was killed in WWII and one sister, Maria Krenn. Surviving are her children, Angie (Kurt) Ramsay, Ken (Brenda) Barber, Bob (Janell) Barber and Delynn Reist (Michael VanEtten); eight, grandchildren and nine great grandchildren. Funeral Services will be held at 11:00 AM Thursday, April 18, 2019 at St. John’s Lutheran Church 511 E. Sturgis, St. Johns with Pastor Paul Clark officiating. Interment will follow at Mt. Rest Cemetery. The family will receive relatives and friends 3-7 PM Wednesday at Keck-Coleman Funeral Home, St. Johns. Memorials may be made to the Marjorie Seibert Scholarship Fund at St. John’s Lutheran Church 511 E. Sturgis St. Johns, MI 48879.